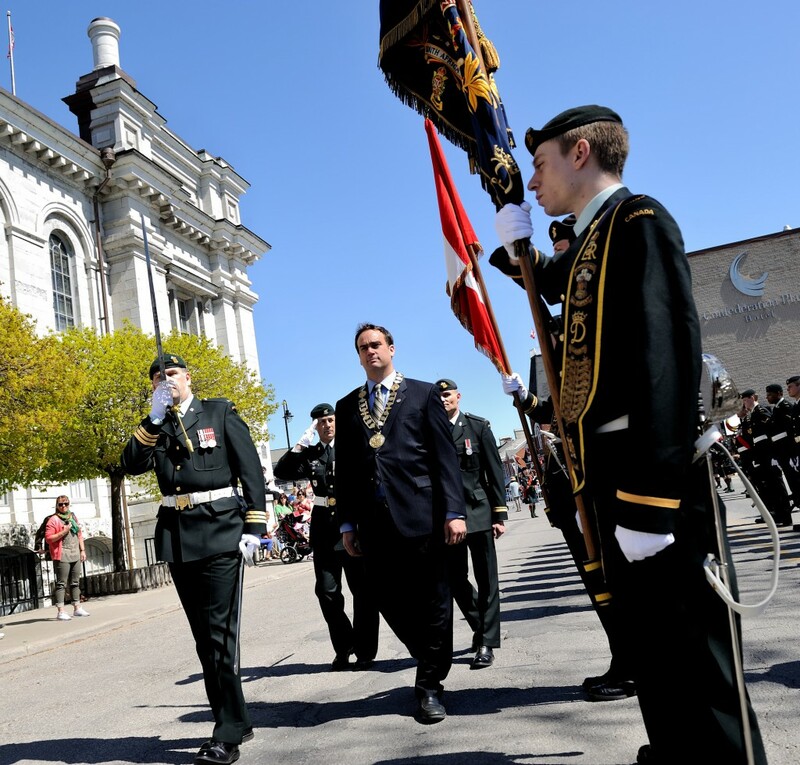 Granting Freedom of the City is an historic tradition by which a community recognizes a military unit and grants it the privilege of marching through its streets with drums beating, Colours flying and bayonets fixed. 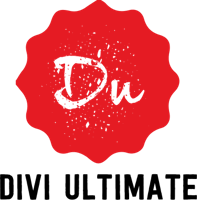 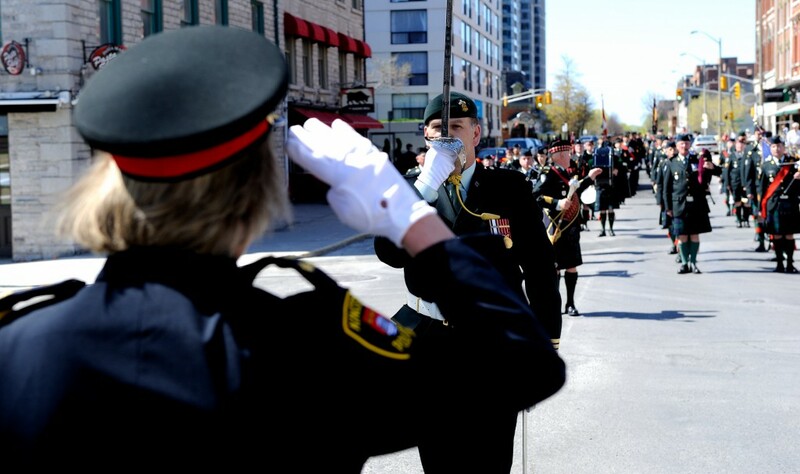 It is a prized honour from a community that also enables a city to recognize the merits of a military unit and express the affection and esteem of its citizens for the unit. 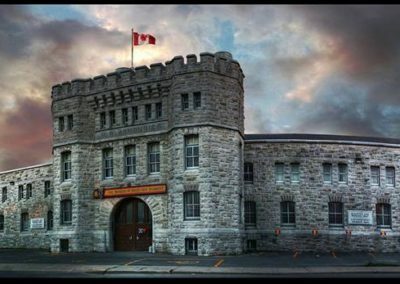 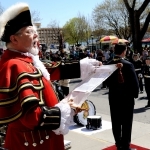 In 1963, the PWOR celebrated its centennial and was granted freedom of the City of Kingston. 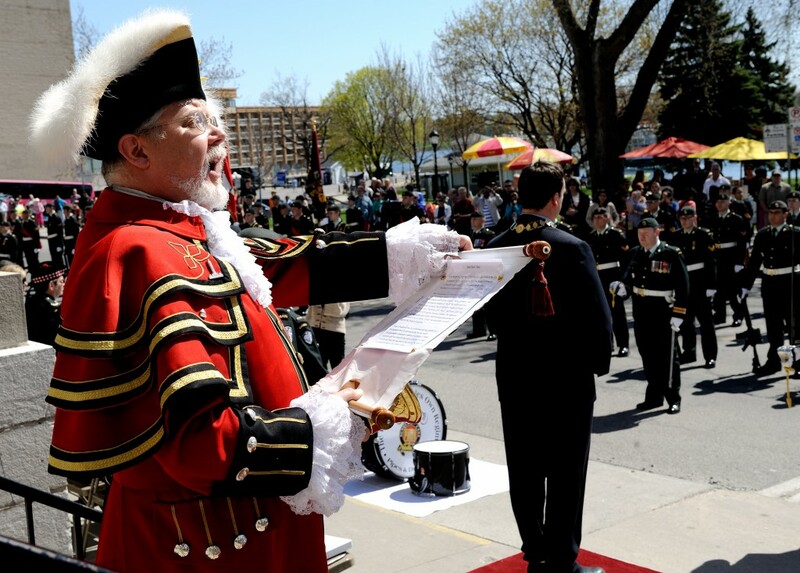 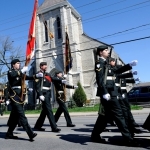 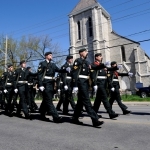 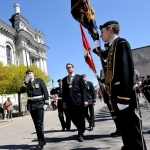 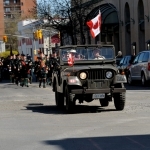 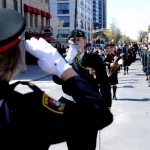 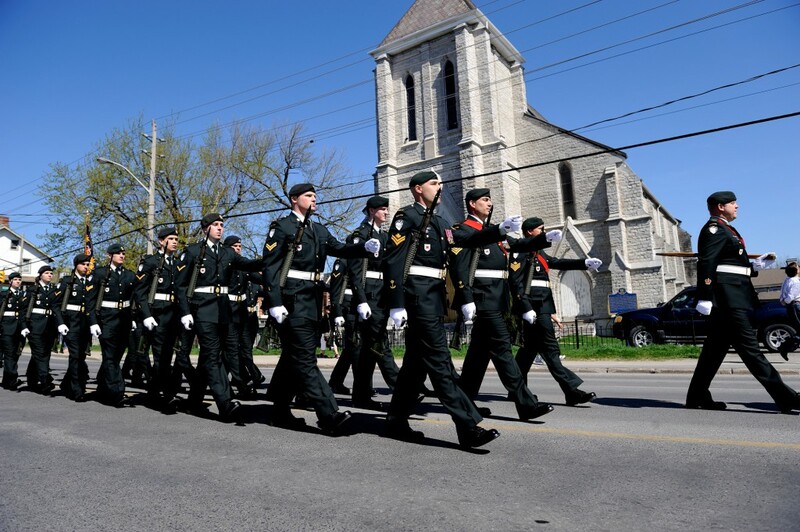 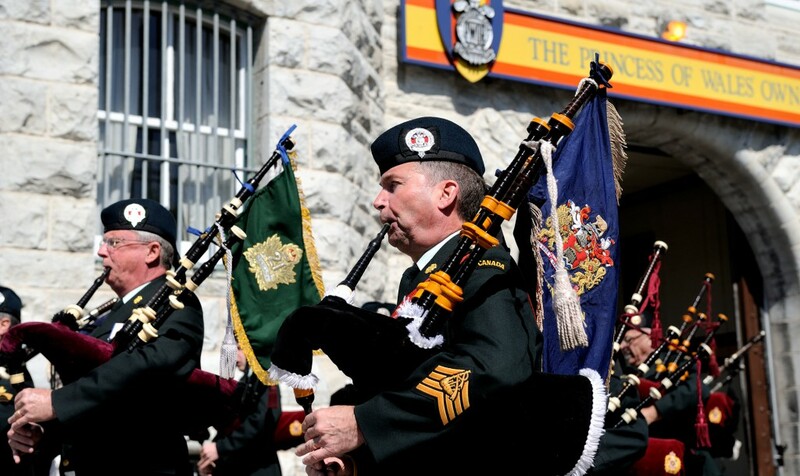 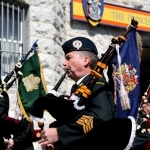 In celebration of their sesquicentennial anniversary, approximately 120 members from The Princess of Wales Own Regiment (PWOR) exercised Freedom of the City on May 4, 2013. 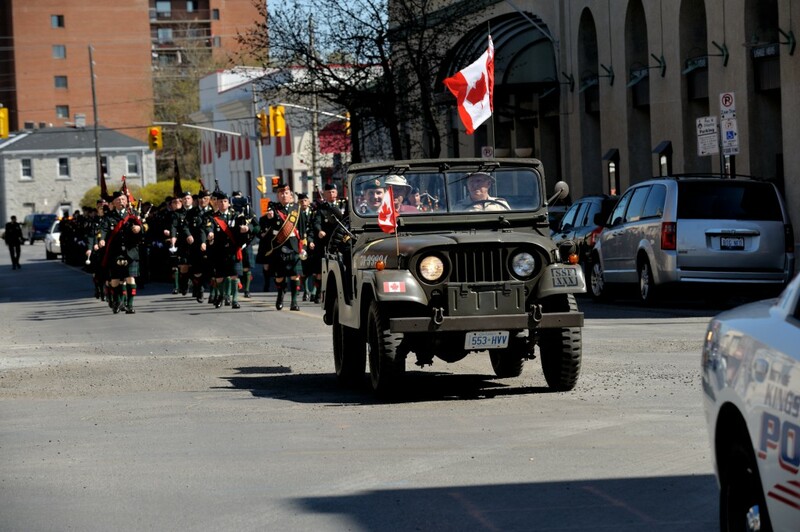 In keeping with tradition, the Commanding Officer LCol James McKay led the unit to City Hall where His Worship Mark Gerretsen, Mayor of Kingston reviewed the troops. 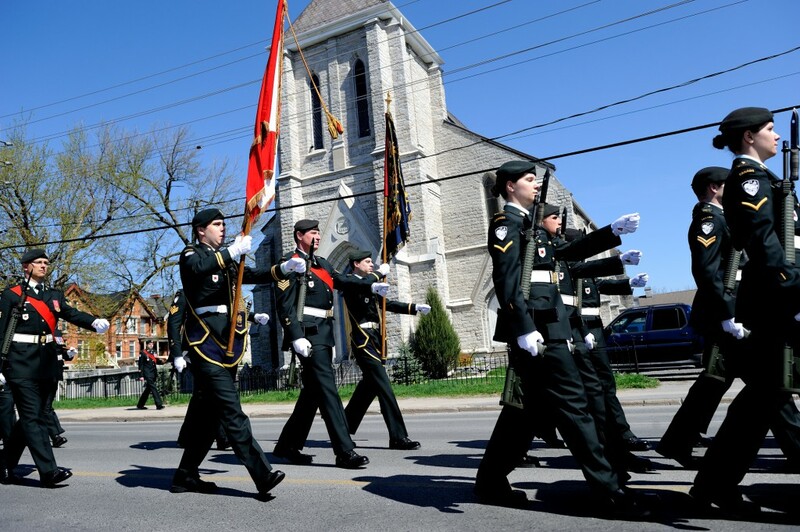 An Open House followed the parade where our military family and supportive community celebrated our history and traditions alongside local dignitaries.